I don't consider myself a morning person. Other than catching morning flights, I will only wake up as early as 5am for a good cause and that's what I did last Sunday. 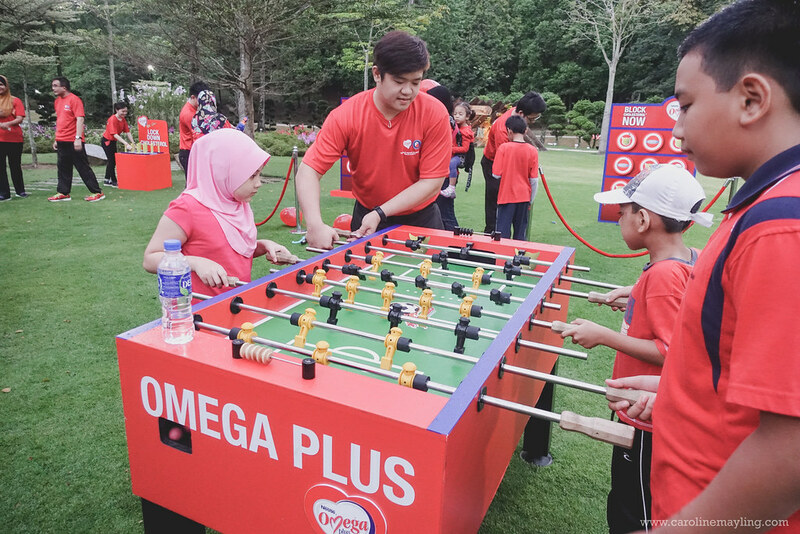 It's for the 15th Nestlé Omega Plus® Walk-A-Mile (WAM) event, in collaboration with Yayasan Jantung Malaysia (YJM), to save lives during World Health Month. 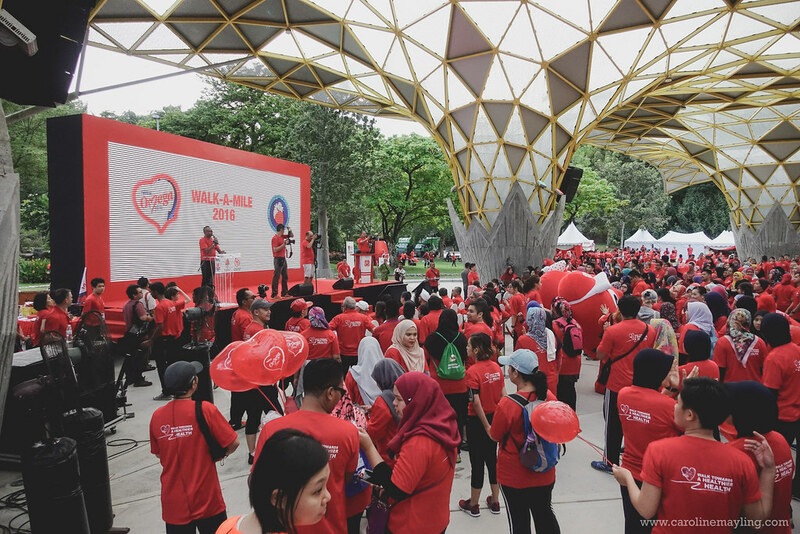 Just so you know that WAM is the longest-running event for heart health advocacy in Malaysia. Every 15 minutes, there is one death caused by heart disease in Malaysia. 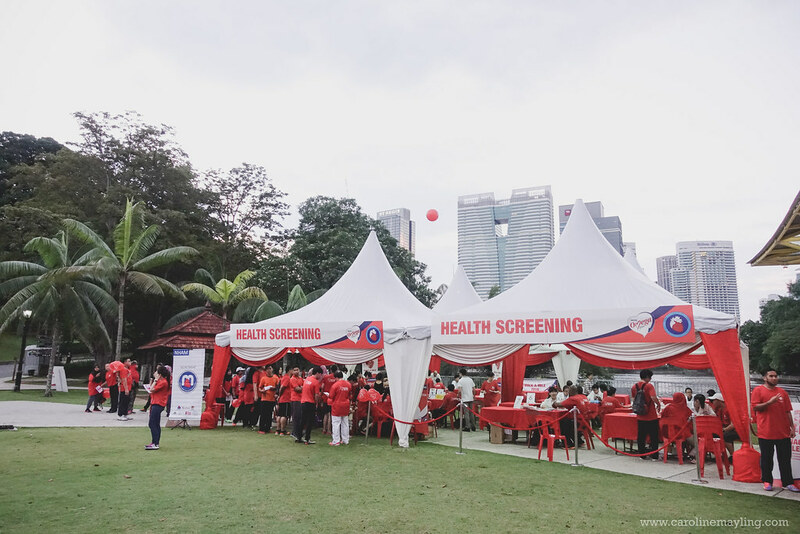 Although many Malaysians are aware that heart disease is the number one killer in Malaysia, many of us tend to wait until later to address our heart health under the perception that heart disease only affects the elderly. However, research has proven that Malaysians in their thirties have ageing arteries similar to people in their seventies due to their lifestyles. The truth is that Malaysians need to take care of their heart health now instead of later. 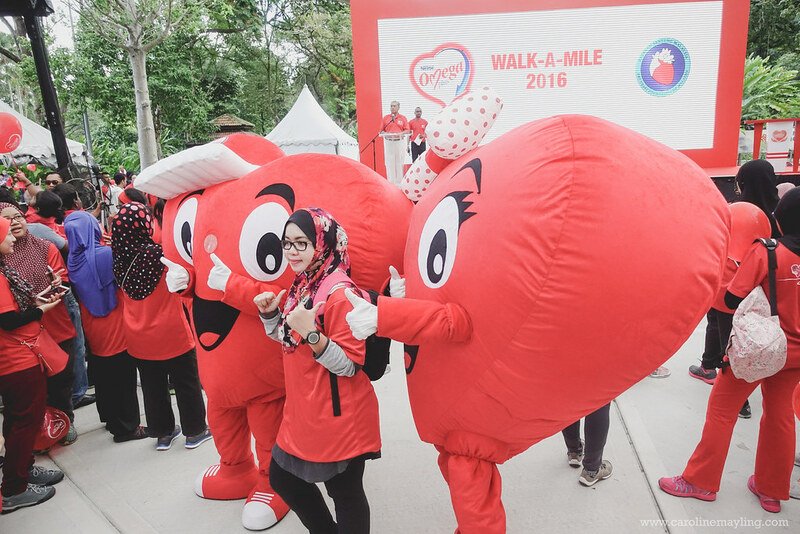 “As Malaysia’s heart health advocate, we truly believe that your heart is in your own hands. Heart disease does not happen overnight but through years of living with these habitual risk factors. 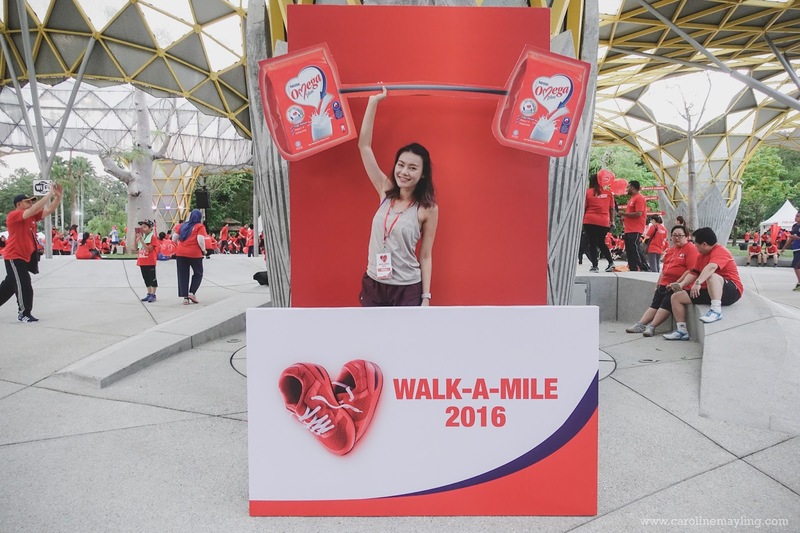 But the good news is that you could save a life in as little as 15 minutes as brisk walking reduces the risk of high cholesterol, high blood pressure and diabetes,” said Chew Soi Ping, Executive Director, Sales, Nestlé (Malaysia) Berhad, in his welcome speech at the event. “The 3,800 people here today have not only ‘saved’ their own lives by joining today’s Walk-A-Mile. In fact, if you have shared your Walk-A-Mile experience with your friends and family on social media, you would have saved double or even triple that amount by reminding people why it is important to manage your heart health now instead of later,” he added. The 2015 National Health and Morbidity Survey conducted by the Ministry of Health highlighted that 47.7% of Malaysian adults aged 18 years and above have high cholesterol, a significant increase from 32.6% in 2011. 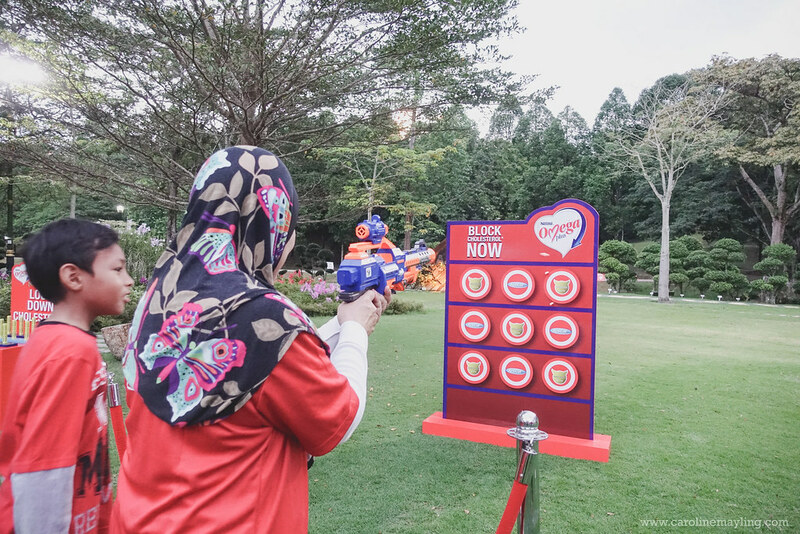 “We cannot ignore any longer that more and more Malaysians are succumbing to heart disease at a younger age and this issue is further amplified through a lack of regular exercise, unhealthy eating habits and other risk factors like smoking, which can be avoided,” said Tun Ahmad Sarji bin Abdul Hamid, President of Yayasan Jantung Malaysia. 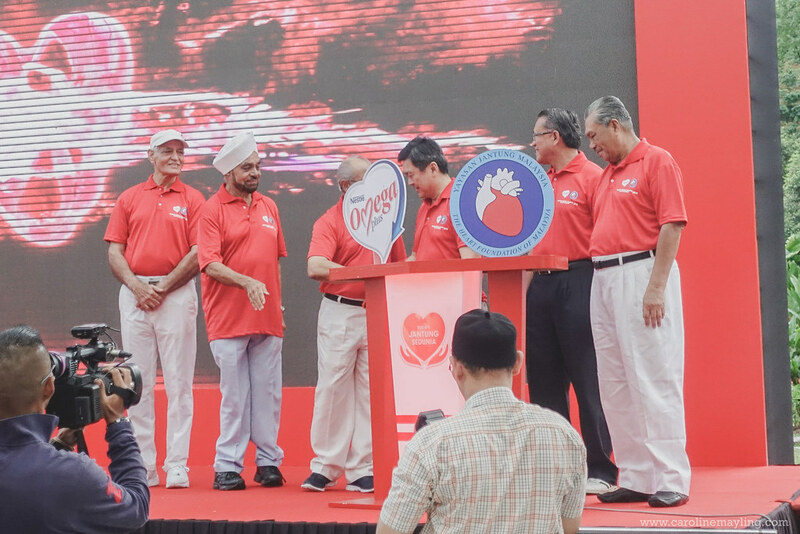 Tun Ahmad also emphasised that it does not take a monumental step to manage heart health. 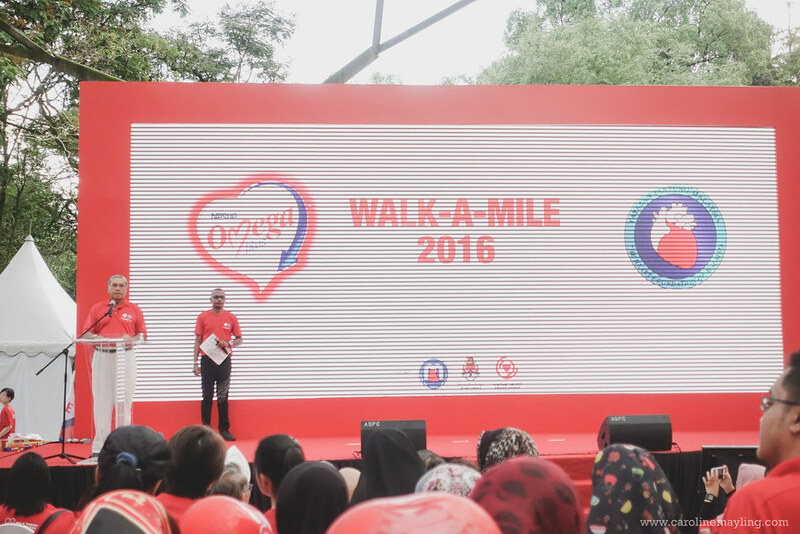 “We need to trigger a change of heart and mind-set among Malaysians on heart health. One of the main reasons for the rising concern of heart-related disease among Malaysians is our lack of awareness as to how to manage our heart health holistically. You only need to remember three key factors for holistic health management – get daily physical activity, visit your doctor for a regular medical check-up and eat a consistent balanced diet,” said Tun Ahmad. One way to reduce the risk of heart disease is to manage your cholesterol levels by adding plant sterols to your diet. Plant sterols can be found in minimal amounts in grains, vegetables, fruits, legumes, nuts and seeds but you may have to consume very large amounts in order to meet the daily requirement of 1.2g of plant sterols in order to have an effect on your cholesterol level. Nestlé Omega Plus® has made it convenient to meet this daily requirement - two servings of Nestlé Omega Plus® milk a day is all you need and it is equivalent to plant sterols found in 255 tomatoes or 126 carrots. Nestlé Omega Plus® is the only milk that has Acticol®, plant sterols that help lower cholesterol by blocking the absorption of cholesterol into the bloodstream. Key VIPS who officiated this year’s Walk-A-Mile included Datuk Bandaraya Kuala Lumpur, Datuk Seri Mhd Amin Nordin bin Abd Aziz; President of Yayasan Jantung Malaysia (YJM), Tun Ahmad Sarji bin Abdul Hamid; and Executive Director, Nestlé (Malaysia) Berhad, Chew Soi Ping. Notable representatives from Yayasan Jantung Malaysia (YJM) also participated in the event, including Tan Sri Dato’ Kamaruzzaman Shariff, Datuk Dr. J.S. Sambhi; Dato’ Gurbakhash Singh. Other guests included Dr. Ng Wai Kiat from National Heart Association Malaysia (NHAM),TV hosts Gary Wong from Ho Chak! And Naz from Jalan Jalan Cari Makan.